Having yet to renew his contract with Fiorentina, the future of Ricardo Montolivo in Florence isn’t bright indeed and this condition led to reports suggesting that the Italian international are being courted by many big clubs in the summer. Despite many of the players’ suitors came from the Serie A, latest reports suggested that should the Viola agreed to sell Montolivo, they might opted to ship the player abroad instead. This reports indicated that Italian Serie A could be losing one of their talent to play abroad as among Montolivo admirers, there’s also Bayern Muenchen, which pretty much have the cash and name to attract the midfielder. Moreover, Fiorentina’s good relationship with the Bavarian club are evident as they also sold their star striker, Luca Toni, to Bayern few seasons ago just after the striker hit the spotlight at his native country. 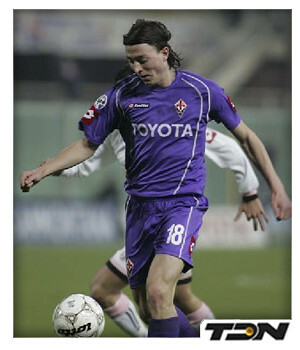 Now the same scenario could pretty much happened for Montolivo as Fiorentina would definitely let their current captain play outside of the Serie A instead of giving him away for teams like Ac Milan or Inter Milan that are also very keen on the Italian international. Off course, there’s always a chance for either of those fashion capital sides to capture Monty in the summer, however should the Viola board felt that they aren’t prepared yet to strengthen their rivals than going to Muenchen seems like an almost certain path. Moreover, the fact that Montolivo himself has a close connection with Germany, as his mother comes from the country, kinda make the possible switch very possible because the midfielder won’t have any much adaptation issue. One thing for sure, with the current slump that Fiorentina had there’s a big chance that the Italian international might really leave in the summer and should that happened the player will be one of the most interesting pick on the transfer market.